Restore a more youthful skin appearance with a microneedling treatment in Inland Empire, CA. This multi-purpose treatment is versatile and can treat everything from acne scars to wrinkling and even hyperpigmentation. Improve your skin without surgery, downtime, or harsh chemicals; microneedling boosts your body’s own abilities to heal and regenerate. 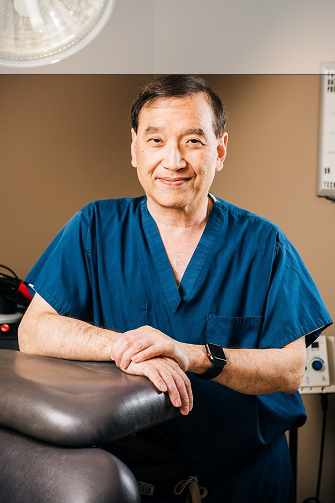 Dr. Machida at Second to Creation is excited to offer this rejuvenating and restorative skin care treatment to men and women that want to improve their skin. Are you thinking about microneedling? This powerful treatment can transform the skin, but it isn’t the right fit for every patient. Learn more about the procedure below and if it seems like it may be right for you, call our offices to schedule a consultation. A careful examination and a thorough discussion of your skincare goals can help us determine if this treatment will meet your skin’s needs. Microneedling, also known as collagen induction therapy, uses tiny needles to systematically puncture the skin. This initiates a healing response in the body and jumpstarts a natural rejuvenation process. 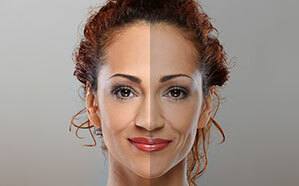 As the skin heals, collagen and elastin levels increase, the skin becomes thicker and smoother, wrinkles disappear, and pigmentation becomes more even and consistent. Microneedling is minimally invasive and non-surgical. The treatment is performed in our offices and patients return home, or head back to work, immediately after treatment. No downtime is required. This treatment is ideal for patients that want to enhance and improve the skin, but don’t have time for surgery or an extended recovery period. This treatment can be performed on its own, paired with other skincare treatments, or used to enhance results from surgical treatments like facelift or neck lift. This treatment is often performed on the face, but it can also be used to treat aging skin on the neck and body. Systematically damaging the skin may sound counterproductive to beautiful skin, but it is a common and well-established treatment protocol. Laser treatments work in a similar way, but use heat and light, rather than mechanical stimulation to initiate the body’s healing processes. A chemical peel also damages the skin, using acidic solutions to jumpstart healing. The damage caused in these regenerative treatments is targeted, planned, and carefully monitored to ensure safe and effective results. Don’t try this at home! We perform all microneedling treatments in our comfortable treatment rooms. There is no need to visit an operating room or a surgical center for this non-surgical treatment. We start the microneedling process by cleansing then skin and then prepare it for treatment with a topical anesthetic. This makes the treatment more comfortable. When the skin is numbed, it is systematically punctured using a special device that is outfitted with very fine needles. We can treat the entire face or target specific areas. After treatment the skin is cleansed again and post-treatment creams or serums may be applied. This treatment usually takes under an hour, depending on the area treated. Plan on spending 1.5-2 hours with us as the anesthetic cream takes about 30 minutes to take effect. Patients return home immediately and can resume regular activities as soon as they are ready. Tenderness and redness are common after your treatment. Your skin will need some gentle TLC for a few days while it heals. The skin will be highly sensitive at first. Stay out of the sun and follow our post-treatment instructions for caring for the skin. Patients are always welcome to get in touch. If anything unexpected happens or if questions arise, get in touch and our friendly staff will provide the help you need. For the right patient, microneedling can be a very effective treatment option. Patients typically see results after the first treatment, with continued improvement in the skin’s quality and appearance for several weeks as collagen and elastin levels increase. Many of our patients start with an initial series of treatments, spaced 4-6 weeks apart. Once the targeted results are achieved, they can be maintained with the occasional touch-up treatment. At STC Plastic Surgery, our focus is your best appearance. Come see us and learn more about this innovative skin treatment. Dr. Machida can help you decide if microneedling is right for you or if a different treatment will better meet your goals. We look forward to helping you smooth wrinkles, even pigmentation, and restore the skin’s natural beauty. Call our offices to schedule a consultation or to learn more about the treatments we offer.